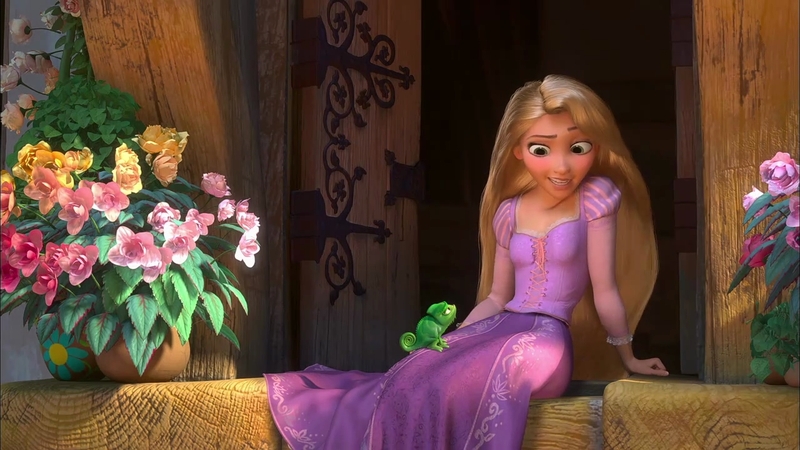 Buy Rapunzel's look: Dress, $49.99 ; Shoes, $21.19 ; Dream Ring, $1.49 ; Necklace, $5.80 ; Chameleon Ring , $14.99 ; Frying Pan Charm , $17.10 ; Flower Hair Elastic, $3.80. Affordable Spring outfit inspired by Rapunzel from Tangled! Isn't this "I have a dream" ring just perfect for the scene at the Snuggly Duckling where they sing the song "I have a dream"? !